We are also long overdue for writing our blog post about Danielle and Joe’s engagement session!! We absolutely LOVE when couples have a location that is totally unique to them! 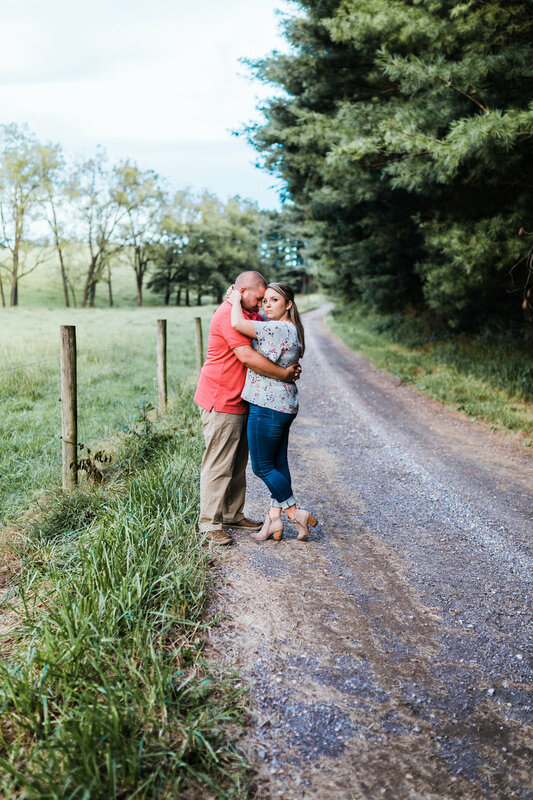 This location is a family owned farm in Westminster, MD and when we arrived we were so excited to see the meadow and all the little foot paths from the cows! 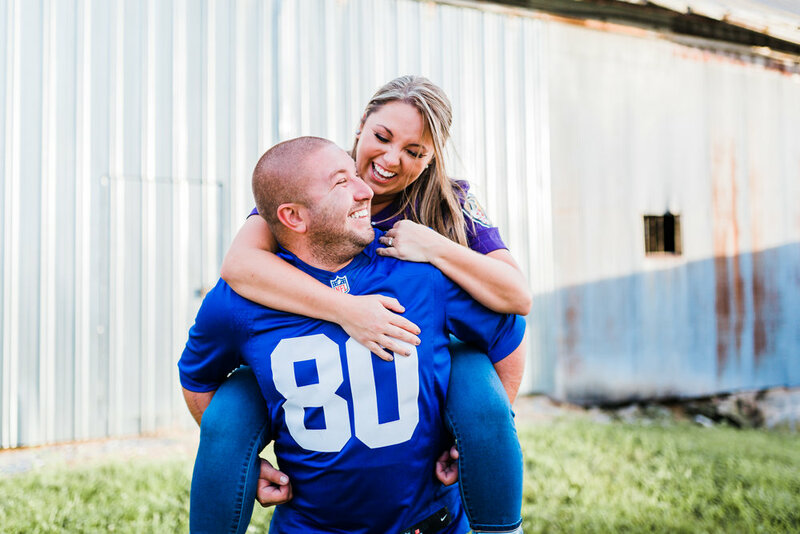 Dani and Joe started out in their football jersey’s as we explored around the farm and we got to meet their fur babies! We knew we were coming to a farm, but didn’t think too much about all the rain we had and dressing for the occasion, so we got pretty muddy since we didn’t wear boots! We had so much fun with Dani and Joe riding around in their 4-seater ATV, seeing the farm, and hopping out for some great photo spots, and playing with the dogs! 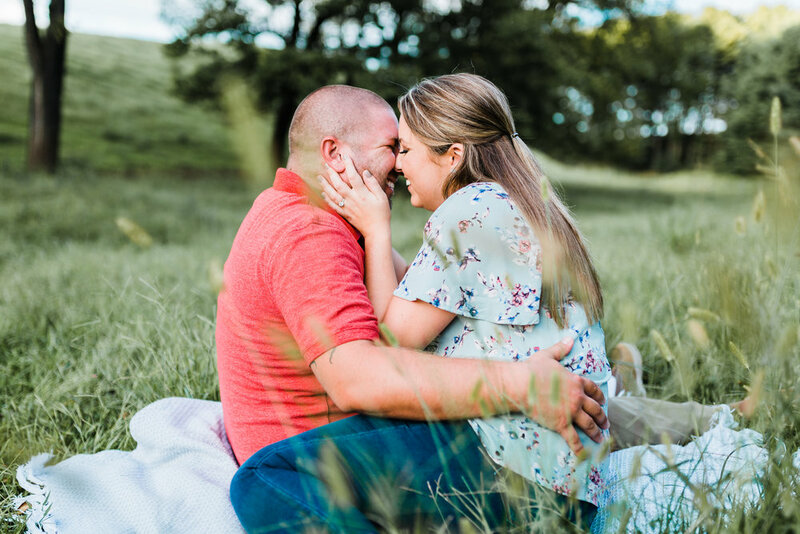 These two are so easy to work with, so adorable together, and we cannot wait for their wedding next September!! We’ve had the pleasure of doing a couple of their friend’s weddings and now it is their turn!